Funding has also gained more stability. Banks have considerably reduced their dependency on short-term funding and are relying more on deposits, because they are backed by insurance. The Goldman Sachs Group, Inc. GS, in particular, hardly had any deposits before the crisis. 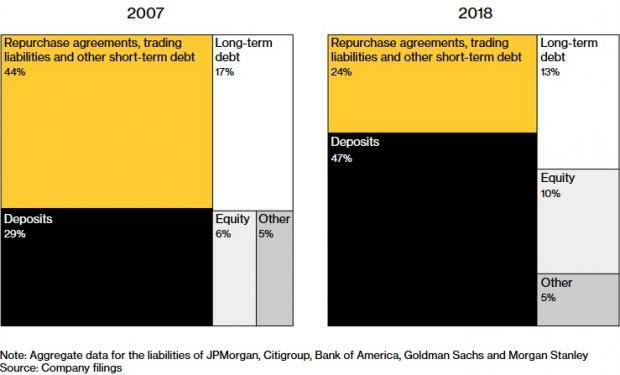 But, now 16% of the investment giant’s financing depends on deposits. Goldman is also trying to expand its retail-banking franchise. Given the aforesaid positives, banks have come a long way since the worst financial crisis in almost a century. This is also evident from the fact that Goldman Sachs, Wells Fargo & Company WFC and JPMorgan Chase & Co. JPM employees earned nearly $12.5 billion from stock options since the 2008 crisis. 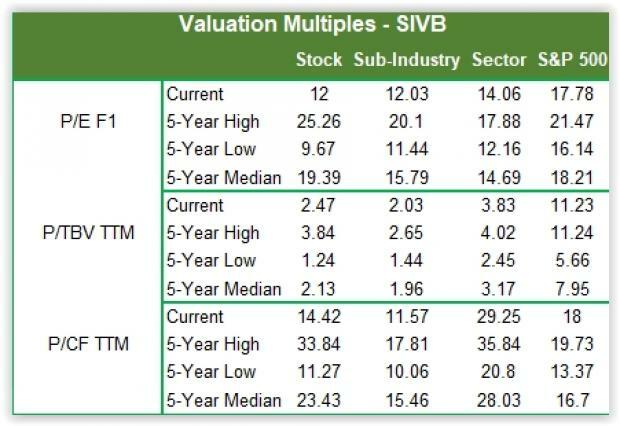 SVB Financial Group SIVB provides various banking and financial products and services. The company has a Zacks Rank #1. In the last 60 days, 12 earnings estimates moved north, while none moved south for the current year. The Zacks Consensus Estimate for earnings rose 8.1% in the same period. The company’s projected growth rate for the current year is 74.5%, while the Banks – West industry is expected to rally 28%. The company has outperformed the broader industry in the last 10 years (+377% vs +90.3%). Commerce Bancshares, Inc. CBSH operates as the holding company for Commerce Bank that provides retail, mortgage banking, corporate, investment, trust, and asset management products and services to individuals and businesses. The company has a Zacks Rank #2. In the last 60 days, three earnings estimates moved north, while none moved south for the current year. The Zacks Consensus Estimate for earnings rose 1.8% in the same period. The company’s projected growth rate for the current year is 40.1%, while the Banks – Midwest industry is expected to rally 29.4%. The company has outperformed the broader industry in the past 10-year period (+119.1% vs +47.7%). Blue Hills Bancorp, Inc. BHBK operates as the bank holding company for Blue Hills Bank that provides financial services to individuals, families, small to mid-size businesses, government, and non-profit organizations in Massachusetts. The company has a Zacks Rank #1. In the last 60 days, one earnings estimate moved north, while none moved south for the current year. The Zacks Consensus Estimate for earnings rose 8.7% in the same period. The company’s projected growth rate for the current year is 78.6%, while the Banks – Northeast industry is likely to rally 22%. The company has outperformed the broader industry in the past 10 years (+87.9% vs +73.4%). You can see the complete list of today’s Zacks #1 Rank stocks here. National Bank Holdings Corporation NBHC operates as the bank holding company for NBH Bank that provides various banking products and financial services to commercial, business, and consumer clients in the United States. The company has a Zacks Rank #2. In the last 60 days, three earnings estimates rose, with no movement in the opposite direction for the current year. The Zacks Consensus Estimate for earnings rose 5.9% in the same period. The company’s projected growth rate for the current year is 69.8%, while the Banks – Southeast industry is expected to rally 31%. The company has outperformed the broader industry in the last 10-year period (+95.8% vs +46.3%). First Financial Bankshares, Inc. FFIN provides commercial banking products and services, primarily in Texas. The company has a Zacks Rank #2. In the last 60 days, three earnings estimates moved up, while none moved down for the current year. The Zacks Consensus Estimate for earnings rose 2.8% in the same period. The company’s projected growth rate for the current year is 28.8%, while the Banks – Southwest industry is estimated to rally 14.6%. The company has outperformed the broader industry in the last 10-year period (+218.4% vs +70.2%).